I was born in 1943, just a stone’s throw away from the „iron curtain“ which separated Austria and Czechoslovakia in those days. I grew up amidst the rolling Waldviertel hills with their fields and patches of trees, rivers, and woods. The countryside has a slow-motion way of rolling away to the horizon. It instills a feeling for the dignity, weight, and inertia of the primary rock formation you are standing on. Rest your gaze on these bedrock hills, and you will begin to move along to the soft, smooth, measured flow of these meadows and woodlands. There was Catholicism, Gregorian chants, Soviet news-reel propaganda films. Listening to the radio and browsing through bookstores, I came across a different life in far away places, which was based on a different rhythm. In 1954, I began taking photographs, working with 8 mm film. In 1956, finally, I packed my bags and headed for Vienna, a city closer to the world of Thelonious Monk, Miles Davis, Albert Camus, Samuel Beckett, Henry Miller, and Sigmund Freud. I saw the works of Jackson Pollock, Karl Prantl, Robert Frank, Jean-Luc Godard, Michelangelo Antonioni, Robert Bresson, and the New American Cinema. I was desperately in need of a new place and I came here to stay. The only thing I never wanted to leave behind was the slow movement of these landscapes and the lesson they taught to my eyes. What you learn up there is to have time, not plenty, but enough. Enough to let your eyes rest just long enough to see the picture. Later on, I developed a growing interest in the technical, material, and mental aspects of cinematography as well as the various ways of expressing the subconscious in film. The larger part of my cinematographic experiments of the sixties, most on regular 8 mm film, is lost since 1985. It was a bit of bad luck and the ignorance of the people involved which landed the material in the garbage in Lucerne, Switzerland. In these films, I had, above all, experimented with different cameras and the film material itself (all forms of direct treatment such as painting, scratching), handheld and out-of-control-moving cameras, and absurd, that is to say anarchist staging. I took various approaches to examine pure („basic“) cinematic phenomena. Since 1983, I have engaged in delivering occasional lectures and holding workshops on aesthetics and experimental filmmaking, mainly abroad. Born in Gmünd, Lower Austria, close to where the „Iron Curtain“ used to separate Austria and Czechoslovakia. Monastery boarding school at Zwettl (choirboy). First attempts at photography and filming (8mm). Secondary school in Vienna (Polytechnic School HTL / TGM, electrical engineering). Matura (graduation / school-leaving exam). Early influences: Soviet newsreel propaganda films, Gregorian chants, medieval music, modern jazz, the writings of Camus, Beckett, Henry Miller and Sigmund Freud, subjective black-and-white photography by Robert Frank, Karl Prantl’s clear sculptural forms and, above all, early films by Jean-Luc Godard, Michelangelo Antonioni, but also New American Cinema. Growing interest in the technical and material aspects of cinematography, especially its potential of expressing the unconscious. Extensive travels to Scandinavia, Benelux countries, and France. Academy of Music and Performing Arts in Vienna, Department of Film (camera, direction), discontinued. Film experiments 8mm and 16mm, extensive engagement with contemporary avant-garde films. Freelance photographer. 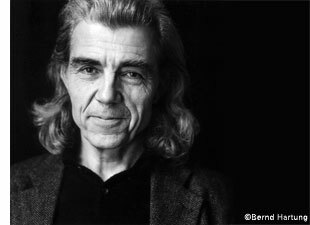 Author, cameraman, director and producer of short fiction–, documentary–, and experimental films (among others, with Khossro Sinai, Franz Novotny, Gert Winkler). Definition of position within the scope of contemporary filmmaking in terms of aesthetics and content. Participation in politic-cultural activities in the context of demands for public funding of Austrian filmmaking. Filmförderungspreis („Young Film Artist‘s Award“) of the city of Vienna. Author and director working in different genres with various departments of ORF, Austrian Broadcasting Corporation (cultural programs, entertainment, documentaries, including FRANZ GRIMUS, 1977). (short fiction film WLADIMIR NIXON). Video works (in collaboration with John Cook, in preparation of various film projects, as well as with Bernhard Frankfurter, for, among others, the long-term city district project SZENEN AUS DEM WIENER MILIEU,1978). Charter member of the „Syndikat der Filmschaffenden Österreichs“ („Syndicate of Austrian Film Artists“). Various film policy initiatives (for example founding of the „Österreichischen Filmtage“ at Velden, later at Kapfenberg and Wels in 1976; founding of the alternative film distributor „filmladen“; founding of the alternative „Kinokooperative“). Substantial contributions to public discussions related to necessary state funding of art and film productions in Austria (1977 Catalog of Cultural Policy Measures, 1980 Film Funding Act („Filmförderungsgesetz“). Founding of Michael Pilz Filmproduktion (in connection with the fiction feature LANGSAMER SOMMER by John Cook). Two-part documentary HIMMEL UND ERDE, international festival success. Workshops and seminars (film aesthetics, creative documentary filming, and experimental filmmaking, among others at University of Applied Sciences at Dortmund, Germany, in 1993/96). Member of Künstlerhaus Vienna, Association of Austrian Artists. Feature film NOAH DELTA II, produced and realized in Budapest (one-year stay in Budapest). Increasing focus on working with video, journals „Private Eyes“ (1988/99 PIECES OF DREAMS, 1991 TWO HORSE TOWN, 1992 CAGE, 1993 IL FAUT APPRENDRE À VOIR, 1994 ALL THE VERMEERS IN PRAGUE, 1995 PRISJADIM NA DOROZKU, 1999 DA CAPO AL FINE, 2000 INDIAN DIARY, etc.). Participation in workshops of US director Jack Garfein (structuring plays and direction) and, subsequently, filming of 60 hours of video footage during six weeks of Garfein’s rehearsls for four short plays by Samuel Beckett at George Tabori’s Theater ‚Der Kreis‘ in Vienna (1999 PIECES OF DREAMS, 2004 THAT'S ALL THERE IS). Participation in the International Stanislawski Symposium in Paris (practice seminars). FELDBERG, experimental fiction feature film without dialogs. Concept, development, and direction of the „StadtFilmWerkStatt“ media project at Lower Austria’s new provincial capital of Sankt Pölten. Classic psychotherapy from 1975 through 1992 (1975–1977 Mady Wood, 1977–1992 Guillermo Otálora). Trip to Central Sibiria (1995 PRISJADIM NA DOROZKU, 630 minutes). Workshop for producers und film makers, held together with my friend Jon Jost in Riga, Latvia: THE ART OF PERCEPTION. Documentary film projects designed to support police training programs (funding was denied for political reasons) and conflict management of kindergarten teachers and parents (could not be financed due to general lack of interest). February, trip to the US (1996 WAS ÜBERSETZT IST NOCH NICHT ANGEKOMMEN, 1998 BRIDGE TO MONTICELLO). March, trip to Southern India (2000 INDIAN DIARY–DAYS AT SREE SANKARA). German documentary filmmakers Christoph Hübner and Gabriele Voss produced a one-hour conversation with Michael Pilz for 3sat TV’s series „Dokumentarisch sehen“, „Im Spiegel des Fremden“ (broadcasted 11 Februar 2001); Vorwerk8 (Berlin) published the complete conversation („Ins Offene – Dokumentarisch Arbeiten 2“). October, trip to Cuba (2001 LA HABANA, with Gabriele Hochleitner, under comission of the International Filmfestival of Rotterdam for the series „On the Waterfront“). January, another trip to Zimbabwe (GWENYAMBIRA SIMON MASHOKO, to stage the Installation „A Tribute to Simon Mashoko“, Gallery Delta Harare, among other things). Montage of SIBERIAN DIARY–DAYS AT APANAS, short version of the trip to Siberia 1994 (1995 PRISJADIM NA DOROZKU). September, Künstlerhaus, Vienna, participation in the salon exhibition (SIBERIAN DIARY and GWENYAMBIRA SIMON MASHOKO). Mai, participation in the anniversary celebrations „30 Years Frente Polisario“ at refugee camps in the Western Sahara (project WESTSAHARA/2005). Training program in „Nuad“, Thai–Yoga (THE ART OF FLOW). Fiction– and documentary film project MEHR ALS DAS (with Gabriele Hochleitner). Start of project KINDSEIN IN EUROPA (under the auspices of Austria’s UNESCO Commission). Montage of extensive footage produced in Zimbabwe in 1997, ACROSS THE RIVER. Montage of footage of a conversation with Austrian writer Brigitte Schwaiger in 1995, 28 APRIL 1995 AUS LIEBE/FOR LOVE. MEMORIES OF YOU 7 DECEMBER 2003, in memory of the friendship with Austrian writer Helmut Eisendle who died in 2003. Completion of two experimental videos by Helmut Eisendle, SCHÄFFERGASSE 1 and SCHÄFFERGASSE 2. Montage of footage of rehearsals for three late plays by Samuel Beckett staged at George Tabori’s Vienna theater „Der Kreis“ under the direction of Jack Garfein in 1988, THAT’S ALL THERE IS. Second „Nuad“, Thai–Yoga training program (Veni Labi). Start of planning for film retrospective at the Austrian Film Museum in November 2008 (Curator Constantin Wulff, Vienna) as well as for a substantial book (Olaf Möller, Cologne). Completion of the experimental montage WINDOWS, DOGS AND HORSES („for meditation“) from footage dating from the years between 1995 and 2003. Artist website „www.michaelpilz.at“ goes online. April, member of the jury for documentary films at finale, the national czech filmfestival in pilsen. Extended trips to Yemen (April) and Iran (May); Presentation of WINDOWS, DOGS AND HORSES at the Islamic Center for Culture and Arts, Esfahan/Iran, May 17, 2006. Presentation of the Samuel Beckett-Jack Garfein documentary THAT'S ALL THERE IS at the international Holland Festival, Amsterdam, and at the Museum of Modern Art, Antwerp. Completion of two new 35 mm cinema prints of HIMMEL UND ERDE (Heaven and Earth, 1982) as well as conversion of all earlier films to modern digital media. Workshop at the Shadow Filmfestival Amsterdam (November). Gabriele Hochleitner starts working on her film portrait with Michael Pilz (to be continued in 2007 and 2008). In preparation for the retrospective at the Austrian Film Museum, Vienna, in November 2008: Review of films, photos, and writings in my own archive as well as research at the archives of ORF (Austrian Broadcasting Corporation) and the Municipal and Provincial Archive of Vienna (Wiener Stadt- und Landesarchiv). Another trip to Iran in October (with Gabriele Hochleitner). Presentation of PIECES OF DREAMS at the Islamic Center for Culture and Arts, Shahrecord and Esfahan/Iran, October 14 and 15, 2007. Some of my early and, in part, forgotten works are turned into new films (A PRIMA VISTA, among others). January: world première of A Prima Vista at the International Film Festival Rotterdam under the category Kings and Aces. March: Sibiu, Romania, presentation of the A tribute to Simon Mashoko (Gwenyambira Simon Mashoko/2002) multimedia art installation in cooperation with Werner Puntigam (photography) and Klaus Hollinetz (sound installation). April: Graz, Austria, Festival of Austrian Films, special retrospective „The Sensual Appeal of Emptiness“ encompassing the presentation of Paticca Samuppada/1986, Staatz Ende/1989, Siberian Diary/2003, Indian Diary/2000, Gwenyambira Simon Mashoko/2002, CAGE/1992 and Windows, Dogs and Horses/2005, as well as two lectures on „The Sensual Appeal of Emptiness“ (Die Erotik der Leere). November, 14–30, Austrian Filmmuseum, Vienna, retrospective, including the films Jahresrückblick/1975, How the Ladies Pay–Lou Reed/1977, Die Generalin/1977, Gruppenbild mit Damen/1977, Franz Grimus/1977, A Prima Vista/2008, Himmel und Erde/Heaven and Earth/ 1982, Plakatkleber/1965, Unter Freunden/1966, Für Peter Noever und Achille Castiglioni/1969, Underground/1969, Wienerinnen 1–3/1971, Wladimir Nixon/1971, L'Imagination des Yeux/1973, Staatz Ende/1989, Windows, Dogs and Horses/2005, 28 April, 1995 Aus Liebe / For Love/2004, For Some Friends (Portrait by Gabriele Hochleitner)/2008, Yemen Travelogue – Days at Shibam and Seiyun/2008, Indian Diary – Days at Sree Sankara/2000, Parco delle Rimembranze/1988, Der Lauf des Wassers/1988, Pieces of Dreams/1999, Cage/1992, Bridge to Monticello/1998, Feldberg/1990. FilmmuseumSynemaPublikationen published the book Michael Pilz – Auge Kamera Herz, by Olaf Möller and Michael Omasta, 285 pages, 200 photographs, ISBN 978–3–901644–29–0, or at . Board member of Künstlerhaus Vienna, Association of Austrian Artists. July, special program at the 35th Summer School Uherské Hradiště (CZ) with Heaven and Earth, A Prima Vista, Bridge To Monticello. Finishing the first part of my Iranian travelogue, INVOCATION OF BLISS (November, world premiere at the 40th International Film Festival of India in Goa). Finishing the second part of my Iranian travelogue, ROSE AND JASMINE. June and September, travels to Rome for ROMAN DIARY. Vice president of Künstlerhaus Vienna. December travel to India (Ashram of Satya Sai Baba). 76 oil pastels. February, ROSE AND JASMINE, premiere at the 40th International Film Festival Rotterdam. February, Berlin Filmfestival, The International Forum of New Cinema, special screening of HEAVEN AND EARTH (1979–1982). February, screening of ACROSS THE RIVER at Dorf-TV, Linz. March, ROSE AND JASMINE is part of the programme of Austrian Films, Diagonale, Graz. Screening of 28 APRIL 1995 AUS LIEBE/FOR LOVE in Vienna at the Filmhaus am Spittelberg and in Freistadt, where the writer Brigitte Schwaiger was born. April, screening ROSE AND JASMINE at the Sankt Barbara Gallery in Hall, Tyrol. May, screening of 28 APRIL 1995 AUS LIEBE/FOR LOVE in Graz (Living Catalogue at the KIZ). May/June special cinema-programme for the Künstlerhaus-Kino, Vienna, FREIES KINO (screening ROMAN DIARY and INVOCATION OF BLISS). June, screening of HEAVEN AND EARTH at the Blaugelbe Galerie, Zwettl, Lower Austria. Travels to Italy, to Canada (International Filmfestival Vancouver, HEAVEN AND EARTH) and to India (Satya Sai Baba Ashram in Puttaparthi). October, screening of LANGSAMER SOMMER at the Slovenska Kinoteka, Ljubljana. For my friend the painter Gerald Brettschuh I finished 13 SZENEN FÜR GB. LANDSCHAFTEN. January, finishing SKIZZE IN TON UND BILD FÜR GB. March, retrospective at the Film Anthology Archives, New York City (FELDBERG, STAATZ ENDE, A PRIMA VISTA, PARCO DELLE RIMEMBRANZE, FACTS FOR FICTION (Was übersetzt ist noch nicht angekommen), INVOCATION OF BLISS, HEAVEN AND EARTH, PIECES OF DREAMS, WINDOWS, DOGS AND HORSES, GWENYAMBIRA SIMON MASHOKO, SIBERIAN DIARY–DAYS AT APANAS, INDIAN DIARY–DAYS AT SREE SANKARA, YEMEN TRAVELOGUE–DAYS AT SHIBAM AND SEIYUN, ROSE AND JASMINE, ROMAN DIARY). April, ROMAN DIARY at the Buenos Aires International Independent Film Festival. May/June, special cinema-programme for the Künstlerhaus-Kino, Vienna, FREIES KINO #2. June, screening of BRIDGE TO MONTICELLO at octo–TV, Vienna. June, screening of EIGENTLICH SPRECHE ICH JA EINE ANDERE SPRACHE, UND TROTZDEM HABEN WIR IMMER GUT MITEINANDER GESPROCHEN at the Kleine Galerie, Vienna. June, travel to Teheran for two weeks, invited by the Austrian Cultural Forum, sceenings at the Forum, A PRIMA VISTA and WINDOWS DOGS AND HORSES, at the Teheran University, WINDOWS DOGS AND HORSES, at the University of Arts in Esfahan, ROSE AND JASMINE and at the Austrian Embassy, WINDOWS DOGS AND HORSES. Shooting of ONE TO ONE TEHERAN CONNECTED, with Torang Abedian, Hamidreza Hamidi, Hanieh Vakilian, Nora Kazemi and myself. July, starting with the shooting for the triptych with Christiane and Gerald Brettschuh (THE USE OF THE BODIES). September, travel to Isla de la Gomera, Canary Islands (filming for DIARY). November, elected for president, Künstlerhaus Vienna, Association of Austrian Artists. February 12th, Künstlerhaus-Kino, screening ROMAN DIARY and INVOCATION OF BLISS. March, screening of HOW THE LADIES PAY (Lou Reed) at the Austrian Filmmuseum. June to August screening of PLAKATKLEBER/1965 and of HAIKU HAPPENS/2007 at the exhibition zeichnen, zeichnen, Künstlerhaus Vienna. September, five weeks at the Isla de la Gomera (continuing DIARY). Finishing the first version of NOLI ME TANGERE, originally filmed in 1994, Jurmala, Latvia. November/December, co-work with Aija Laura Zivitere on her GERMANIA and/as/in/is FRANCIA and her THE CLOSING OF THE DOORS, filmed at the 55th International Art Exhibition, La Biennale di Venezia. February, travel to Riga. Second version of NOLI ME TANGERE/THE VIEW. Finishing FRANCIA 2013 (the second version of GERMANIA and/as/in/is FRANCIA). March, screening of FRANZ GRIMUS at the Festival of Austrian Films, Diagonale, Graz (on the occasion of the programme Ein anderes Land. Fünf Österreichische Filmgeschichten by the Austrian Filmmuseum. Spring, screening of LANGSAMER SOMMER at the Cinématèque de Toulouse (on the occasion of the programme Utopias of Film (some fragments) by the Austrian Filmmuseum. June, travel to Tehran, another four weeks artist in residence, invited by the Austrian Ambassador, film-workshop at the Mohsen Gallery, opening screening ROSE AND JASMINE, screening ACROSS THE RIVER at the Austrian Cultural Forum, also following my project for an exhibition at the Artist's House in Vienna, PROJECT TEHRAN, since 2013. Another 100 oil pastels. December, screening of FRANZ GRIMUS at the Austrian Filmmuseum. Starting editing the triptych with the painter Gerald Brettschuh (filmed since 2010). Finishing DER GEBRAUCH DER KÖRPER (the first part of the triptych with the painter Gerald Brettschuh), starting editing ALS-OB-NICHT (the second part of the triptych). May, two weeks in Tehran with film screenings. September, screening KINDSEIN IN EUROPA as part of the exhibition Brennende Fragen. Über:Angebot at the Künstlerhaus, Vienna. October, another four weeks in Tehran (screening of KINDSEIN IN EUROPA at the Austrian Cultural Forum and at the UNESCO International Day for the Children). Series of oil pastels. December, finishing ALS-OB-NICHT (the second part of the triptych). April, four weeks in Tehran, following the PROJECT #016 TEHRAN, filming TANDIS – FÜR NORA. Summer, starting editing the third part of the triptych, DAS FEST. PALLADIO 2.27 (shot at Venice in the late days of November, 2013). August/September, six weeks travel to the Isla de la Gomera, following DIARY, filming (and collecting) CHINGUARIME. October, presenting HEAVEN AND EARTH (Himmel und Erde) at the Berlin-based club ausland. November, travel to El Hierro, Canary Islands. December, finishing DAS FEST (the third part of the triptych), starting with CODA (fourth part). www.cultureunplugged.com in Poona, India, shows 7 films: YEMEN TRAVELOGUE, SIBERIAN DIARY–DAYS AT APANAS, INDIAN DIARY–DAYS AT SREE SANKARA, ACROSS THE RIVER (Days at Siachilaba), WINDOWS DOGS AND HORSES, A PRIMA VISTA, SILENCE and the bio-pic FOR SOME FRIENDS by Gabriele Hochleitner. Finishing the triptych, 1 DER GEBRAUCH DER KÖRPER / THE USE OF THE BODIES, 2 ALS-OB-NICHT / AS-IF-NOT, 3 DAS FEST / THE PARTY, 4 CODA / CODA. March, presenting LANGSAMER SOMMER at the Festival of Austrian Films, Diagonale, Graz. September, Filmarchiv Austria, LANGSAMER SOMMER, opening film at the Retrospective Erste Österreichische Filmtage Velden 1977. January, 3 weeks travel to Teheran and to the Persian Gulf island Hormuz (developing the project HOUSE) and to the island Geshm. Continuing work on the archive of films, videos, writings, photographs, correspondence, paintings, posters and different collections of found objects. June, 2 weeks travel to Tehran, workshops at the New Media Space. November, 3 weeks travel to Tehreran, Abadan and the island Geshm in the Persian Gulf. Giving workshops in Teheran's Jaleh Gallery and at the University for Arts in Abadan. Honorary Media Art/Documentary Film Award, Provincial Government of Lower Austria. Rotterdam (NL), Edinburgh (GB), Kapfenberg (AT), Aurillac (FR), Venice (IT), Vienna (AT), Riga (LV), Nyon (CH), Berlin (DE), Figueira da Foz (PT), Montréal (CA), San Jose (US), Graz (AT), Athens (US), Frankfurt a.M. (DE), Cannes (FR), Karthago (TN), New York (US), Wels (AT), Salzburg (AT), Paris (FR), Duisburg (DE), Santa Cruz (BO), Thiruvananthapuram (India), Manila, Uherské Hradiště (CZ), Bellaria (IT), Goa (India), a.o. Künstlerhaus Vienna, Kunsthalle Tirol Hall.i.T., Anthology Film Archives New York, Künstlerhaus Stuttgart, Kunsthalle St. Pölten, Blau–Gelbe Galerie, Vienna, Wiener Festwochen (Vienna Festival), Institut Néerlandais Paris, Afro Asiatisches Institut Galerie Wien, Vienna, Galerie Thurnhof Horn, Haus am Waldsee/Berlin–Wannsee, Literaturhaus Krems, Literaturhaus Vienna, Galerie Habari Vienna, Kulturhof Johannes Aquila Radkersburg, HMH–Galerie Linz, Blau–Gelbe Viertelgalerie Zwettl Lower Austria, Delta Gallery Harare, Zimbabwe, Pasinger Fabrik Munich. School of Design, Zurich (CH), University of Applied Sciences at Dortmund (DE), StadtFilmWerkStatt St.Pölten (AT), Academy of Fine Arts, Vienna (AT), Academy of Music and Performing Arts in Vienna (AT, Department of Film and Television), International Center for New Cinema Riga (LV), Academy of Applied Arts in Vienna (AT, Department of Design/Film), Stiftung Märtplatz/Rorbas (CH), European Institute for Documentary Film-making, Duisburg (DE), Volkshochschule Stöbergasse (adult education center), Vienna (A), Shadow Filmfestival Amsterdam, SUREH/Institute of Art, University of Esfahan (Iran), Nederlands Film en Televisie Academy, Amsterdam. for films of Claudia von Alemann (War einst ein wilder Wassermann/ 1998-2000), Othmar Schmiderer (Josef Hauser–Klang und Raum/1988, Am Stein/1997, An Echo from Europe/1998, Im toten Winkel/2002), Gabriele Hochleitner (Die Stadt und die Erinnerung/2000, Autisti/2003, Luigi oder der geheime Garten/2001-03, also sound), Beate Pilz (Public chat/2003, Zeitgeist/2002), Regina Höllbacher (Ganz Normal/2002-05), Kenan Kilic (Nachtreise/2002), Angela Summereder (Baustelle/2004, Ort–Ried/2004 and Vermischte Nachrichten/2006), a.o.